.....My Views Encapsulated In Words...: Do Internships Really Help post MBA? Do Internships Really Help post MBA? I think this question is posed by each and every student on this earth to someone who has completed his graduation/post graduation or any relevant studies over the time. I was too in the impression till the time I got an opportunity to work with a start up based in Singapore and finally converting it as a full time opportunity. When we join any institution 90% of students fear about placements. There is nothing else which come in their mind, it all revolves around their future. But have we ever thought about it what else we are doing apart from studies which stands us apart from crowd. There are million of students out there competing every single minute and we are just a part of it. So why a company should hire us? What is making us different? These all stupid or intelligent thoughts runs in our mind every single second till the time we achieve something. 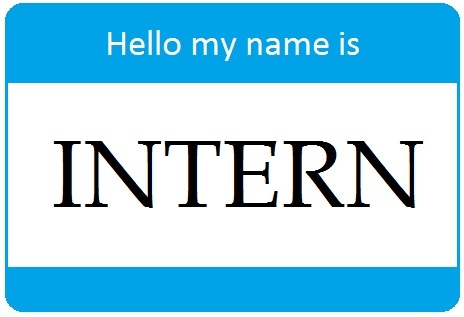 To give you an idea how internships helped me developed into a Marketing Professional here's my story. Interning at a start up is really difficult as there are no set rules and regulations. Everything is trial and test phase at start.So in a way you learn a lot, not only by peers but by yourself. This internship taught me to apply my marketing tools in a better way and taught a better approach of viewing service industry. I learned about content marketing, social media marketing and many more as I am still learning. Not only this while suggesting marketing strategies I learned that each strategy needs to be financially and operationally weighed along with viability. I also learned that for every target segment there needs be different marketing strategies because each target segment is different and needs different attention. I also learned how consultative selling is done and why it is necessary for a salesperson to do their homework in terms of problems their target group face so that they can use maximum of that problem. I also learned about business research and what all needs to be considered while customizing services according to client needs and market. At the last conducting a feasibility study provided new avenue to the company as they are looking for expanding in different business model and also gave me on job experience on working for such studies. At the end company marketing team was built and what all can be the hardships face while selling these kind of informal services were understood. As this industry was totally new to me and I had no experience in selling services, it taught me that there is nothing right or wrong in Marketing. Ideas are being made to try and test. There is nothing like perfect until you fine tune it and try it out. Also it gave me chance to fine tune my software skills along with marketing skills. The best part of internship was that I was directly involved in signing of deals and execution of strategies proposed by me which gave me a better idea that which strategies can work in which kind of environment. I was also directly involved in working with Owners of the firm which gave me exposure and new ideas for the company. For me it was very fruitful and helped me to become a better professional. Plus you stand apart as you have already put your hands in various domains. I personally believe before starting your career get into some internships and understand what you are good at and how you can fine tune that. I hope my little story helps you a long way.